Valet parking is available at the restaurant for $20. Benu offers a customized private dining experience for parties of all sizes. Reservations can be made up to a year in advance for anytime. Please contact us for more details. 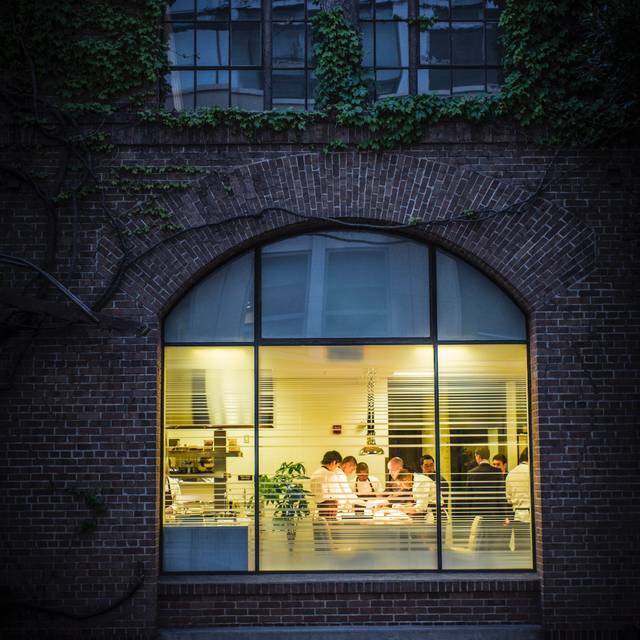 Benu offers a set tasting menu. Please indicate any dietary restrictions when making your reservation. Soy sauce, salt, and sugar are used in many of our base preparations and cannot be removed. If you have very severe allergies or a combination of restrictions, please contact us directly to confirm whether we’re able to safely modify your menu. We also request a credit card to hold your reservation and require all bookings to be confirmed by phone or email 4-6 days in advance. If we are unable to confirm with you using the contact information provided, your reservation will be cancelled 3 days prior to the reservation date at 5:00 pm. In the event of a no-show or cancellation with less than 2 days of notice, the credit card will be charged the full menu price per guest ($310). Due to the length of the meal and quiet ambiance, we do not allow young children unless they are able to partake in the full tasting menu. Thank you for understanding. Celebrated my wife’s birthday. Food was delicious and service was excellent. This was probably my least favorite experience at Benu. We were in an seating area with two larger tables. One of the courses was a cod prepared three ways. While the dish was very good it’s aroma was quite pungent (if you’ve ever boiled dried cod you know the smell). As we were receiving dessert the large table was receiving the pungent cod. The aroma did not favor our dessert any. The timing of the service worked out poorly for us. The parties at the large tables were quite loud. There was a point where we could not have a conversation any longer. I think this was my least favorite experience in all the times I have dined at Benu. Phenomenal food experience. Service was perfect. Ambiance feels slightly stale. If you are into food it is a must go. 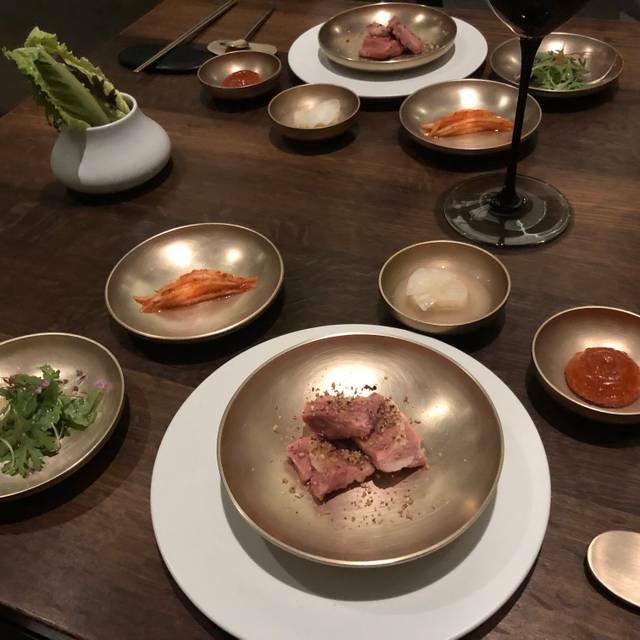 I have always found it difficult to rank dining experiences and meals I've had--until eating at Benu, which *hands down* set a new standard for me. Just absolutely perfect--every detail. Can not wait to return. Excellent food and such great service. Met our expectations 100% Had a wonderful time!! Amazing and very special occasion dinner with my husband for his 40th birthday. Service, food and wine were fantastic... French Laundry-esque. The wine parings were masterfully creative and thoughtful, inspired by the dishes that were so delicately and exquisitely prepared. We had a great evening! And if you’re thinking about the wine pairing, GO FOR IT. You will not be disappointed. At all. Small note: if you arrive early, there is not a bar to have a beverage at while you wait. Lovely bar walking distance, but not inside. In fact, if they ever decided to place a bar out in their patio, it would be well worth it! This is one of the most spectacular and flawlessly executed meals I've had in SF. The kitchen brings our dishes that are precise and very complex. Menu rarely repeats itself from visit to visit. It is very expensive but an amazing high end experience. I love the food and service there. People are friendly and humble. The food are creative and amazing. Definitely would love to visit again! Thanks to Benu team providing us with an extraordinary dining experience. 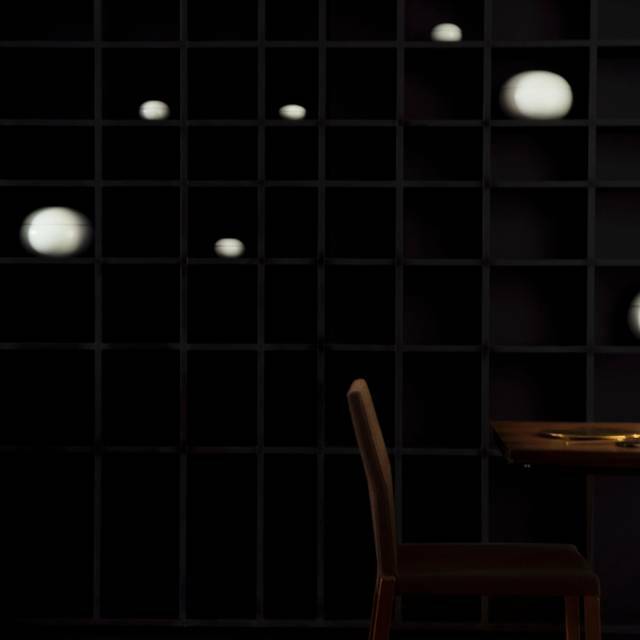 Benu is an exemplary experience more than it is a meal. The attention to detail in both the service and then food are in the top tier of restaurants and earns it accolades. Specifically the small eats before the formal menu started were extraordinary and visually enticing and to be honest it felt wrong to eat such beautiful things. But the flavor did not disappoint. The blend of texture and flavor melded perfectly offering progressive different flavors as each bite was consumed. The formal menu was equally amazing and offered a range of tastes and technique. The desserts came out and ensured that we did not leave hungry. We went for a special occasion and they went the extra effort to make it special with an extra treat making the evening more memorable. The service level is incredible with a battalion of servers coming through the evening to bring each dish in a timely manner ensuring the dishes were served at the right temperature. Also each dish is served with its own unique tableware. 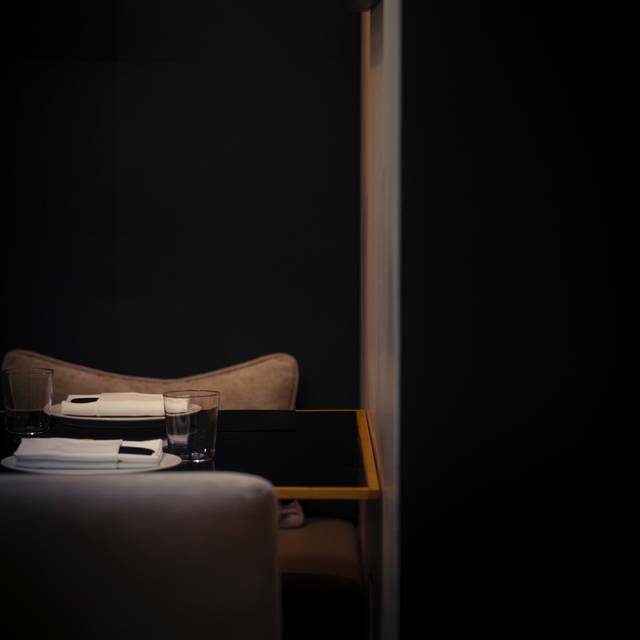 In the end, Benu and other similar establishments, are not just about the food but about the experience. It is also partly for lack of a better word, Theater. Among other similar places I feel this is the best in SF. 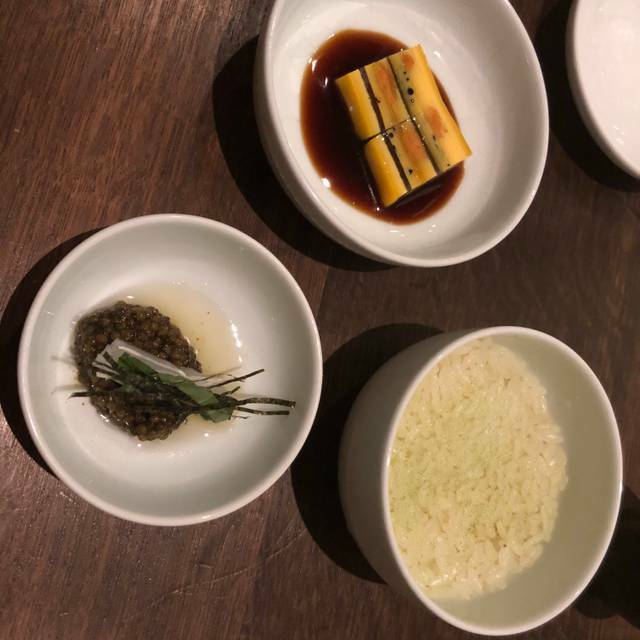 (Have not been to Atelier Crenn which I hear is at a similar level) the Asian inspired cuisine is unique. My only issue was that part of the quail may have been more rare than medium rare. But I was assured this was as planned. Lastly, given the costs of SF the price was probably fair but it is a lot for a meal out. As much a vacation experience as a meal. Not to say it is overpriced, but it is a commitment. Would go back again, it may be awhile but definitely look forward to returning. So delicious! And really good service! They made me small birthday cake! Wonderful meal, excellent service, beverage pairing outstanding and interesting. Definitely one of my favorites in SF. Perfect. Stellar service, world class food. Incredible attention to detail. I’d come once last year, and they’d noted lots of specifics about my preferences, right down to the kind of water I’d ordered. Friendly and attentive staff, beautiful and delicious food. A feast for the senses. 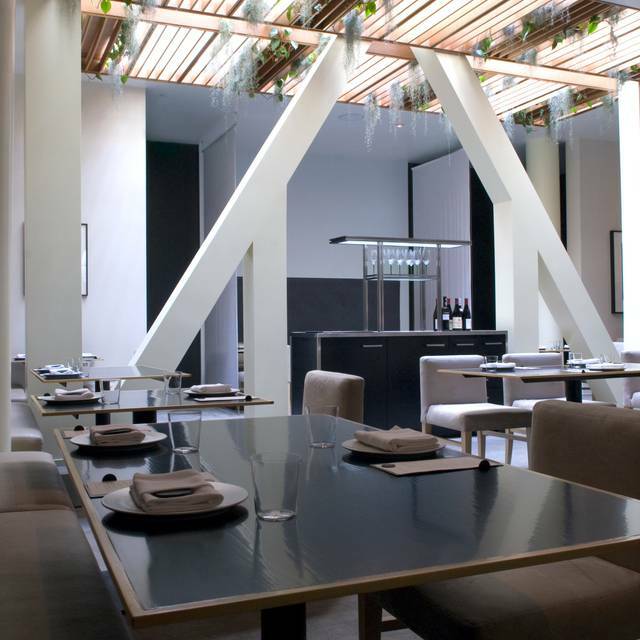 Benu is an exceptional restaurant! We have recently decided to go down the Michelin Star list when picking restaurants to try, top to bottom. We’ve tried every 3 star in the area now, and it is definitely my favorite. Quince comes very very close, but I enjoyed Benu just a smidge better. In addition to the lovely presentation and unique Asian inspired combinations, the food is just plain and simply scrumptious! You also leave feeling very full! Every single dish that came out was absolutely amazing (beautiful and delicious). I was very sad to see an end to my experience. The restaurant in itself is gorgeous, the service is stellar, and the food is to die for. Benu is definitely an experience, not just food. From the moment you drive into valet, to the moment you leave, customer service is excellent. Each bite size dish is carefully crafted and explained. There are frequent changes to serving utensils so you know what to use and using your fingers is allowed, especially when they provide wet nap. The beginning single bite small delicacies were my favorite- there's quite of few of those before you get to multiple bites items printed on the menu. The actual courses printed were good (not great). Is it worth the price tag? My husband ordered the BEST sake we've ever tasted for $50 a small cup, that he thought was worth it. For the experience and customer service the price tag is fine; for the food, we have had better (husband was hungry about 30min later). I was full at the end of the meal. Personally I was SO expecting something extraordinary that it really didn't live up to the hype - I would give them 4.5 stars, But husband thought they were 3.5 - hence 4 average. 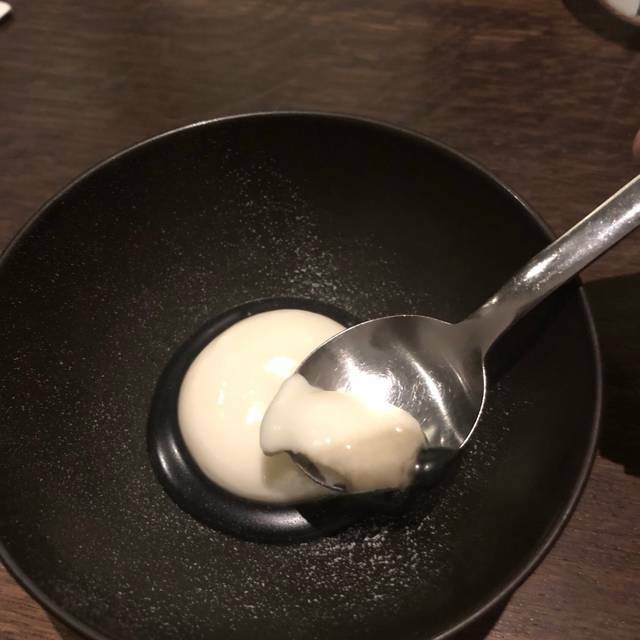 The courses printed were missing the multiple dimensions of taste and textures as compared to small delicacies and the meal itself ended on a somewhat disappointing note. The last dessert pudding with pleat was exceptional, but the final few courses including the spare ribs were plain, making the overall meal itself way overpriced. Consistently delicious food . Friendly environment. You feel welcome. I was there last year and last night wasn’t a disappointment. Loved it!! My wife and I wanted to step out of our food comfort zone and enjoy a world-class meal. We definitely got what we were looking for at Benu. The wait staff was very friendly and the food was unforgettable. We enjoyed talking to the Master Sommelier and agreed that the wine pairing was perfect for the food. We definitely left satisfied! Everything was great. Service and food both. Benu met all of our expectations! What a lovely dining experience. The service was impeccable and friendly. The mussel, quail, and veal were divine. And shikye—so refreshing. Every bite was an adventure!!! So good! Worth the splurge! Go on a date or with a significant other! Everything was absolutely impeccable. Fine dining at its apex! Might be the best meal I have ever had. The foods and courses are surprisingly a lot and great even though the menu only says the number of courses, the way they serve the food in course is very great and make the value very high. I highly recommended this restaurant. The only thing is the service has room to improve. There are times the waiters tried to provide food or setups while our family member was still eating. Amazing place and lives up to all the hype. Truly an unforgettable experience. Love the food and the beverage pairings were excellent. I wouldn’t say this is the best restaurant I have ever tasted. But it definitely worth to try. The front yard is cute. Fantastic all around. Really amazing food and service! 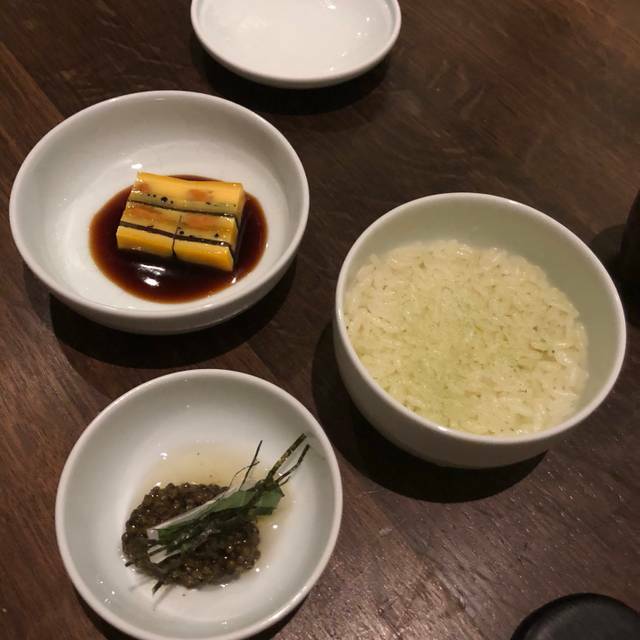 An odd experience at Benu in SF. After all of the hype I had (perhaps unfairly) high expectations. I was extremely disappointed. Service was great. GM greeted us, and we received great attention plus banter with staff as my colleague had dietary restrictions. But the wine service was poor. Delivering standard lectures with no dialogue or interest in the guest. Most importantly 90% of the food was monolithic in flavor largely due to lots of / strongly flavored sauce. Highly complex ingredients with a lot of attention to sourcing and intricate prep were overwhelmed with simplistic tasting sauces which drowned any subtlety. A couple of dishes were nice but way too many misses. For $1400 for two with just the menu and wine pairing, not on point. It's been a few years since my last visit but this place is still still amazing. 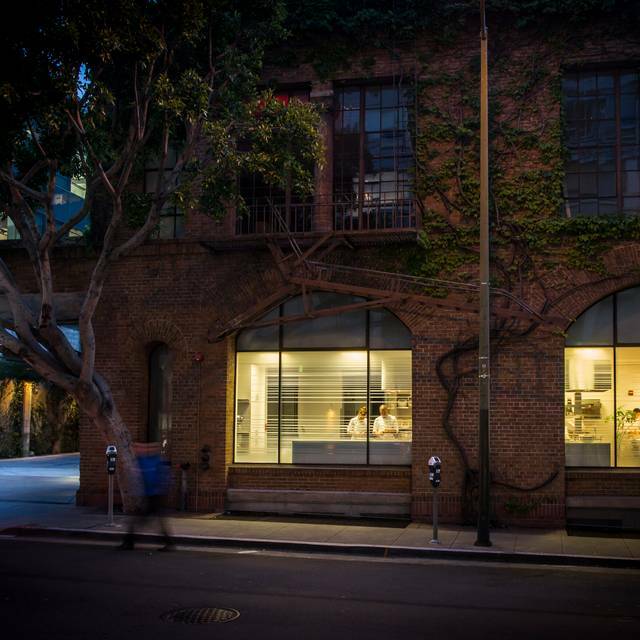 One of the finest dining experiences in the Bay Area. Looking forward to my next visit. The birthday menu has my name on it and the cake prepared is very nice. The food was superb! It was an experience like no other. Highly recommended! Great food and excellent service Thabk you to Ivy for her attentiveness!